DPC-G/S door interlock Chasis truck for switchgear accessories | Yueqing Liyond Electric Co., Ltd.
Chasis truck mainly used for switch equipment to install circuit breaker, transformer and other components, push and exit it ,play a supplementary role in connecting the components with the busbar. When door interlock chasis truck works with the internal mechanism of circuit breaker and other switchgear interlocking mechanism ,can meet the interlock requirement of GB3906-five prevention. This chasis truck can be operated only when the cabinet door is closed,no need to change the cabinet door. 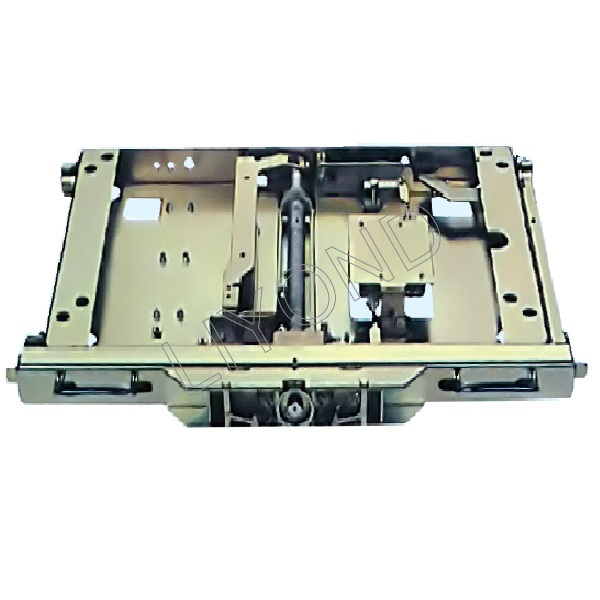 This chasis truck increase the lock function based on item a,it means when the handcart leave the test position ,cabinet door is locked,can’t be opened,only back to the test position,cabinet door can be opened,it needs to change the door.